‘Tis the Season to be Spoooooky! For all you guys and ghouls who have noticed what time of year it is (that’s right, Halloween!) many of you will have already started to get your costumes and party ideas ready. Here at Fourerr, we just want to spread some of the devilish fun and say – why not create your own Halloween themed gig? Whether it’s offering a beast of a voiceover, ghost writing a book, or composing a bewitching jingle, Halloween themed gigs are sure to fill you with inspiration. How about creating a gig selling Halloween themed recipes? From sweet to savoury to the best things to give to Trick or Treaters, a creative recipe will be so popular with hosts and children that they’ll keep coming back for more on different occasions…Just go for it; it’ll be a scream! 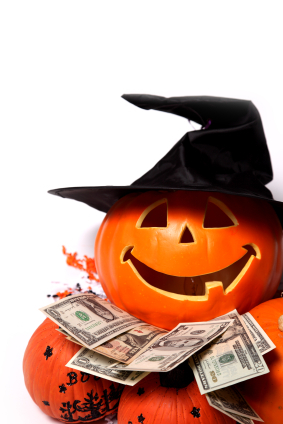 How about selling your services as a Halloween party planner? So many people want to throw the perfect party scarier than Friday the Thirteenth, so why not offer up a gig to let them know you have it covered – from the catering to the costumes to the creepy theme, you can get your buyer excited about hosting the freakiest party ever! Are you a composer? Why not offer up your services to provide a buyer with a minute long track of scary music? The great thing about creepy music is that it can really set an atmosphere, so start selling! Sell a series of scary stories to be told at Halloween events or make buyers tell them to their friends and family – see who gets really freaked out! Need a few giggles this Halloween? Why not make sell a gig that tells the best Halloween jokes ever? They’re sure to lighten up even the deadest parties. Still struggling with unsold gigs? Don’t let your gig turn into a graveyard – keep logging into Fourerr and checking for gig requests on the right hand side of the page and you’ll soon be able to give your ‘living undead’ page some life. And for all you buyers out there; if you’re feeling like a zombie after a hard week’s work, just remember that your workload needn’t be torturous – continue to outsource your work and give yourself a break from time to time.